Spain´s Airports nearby bus transfer services. 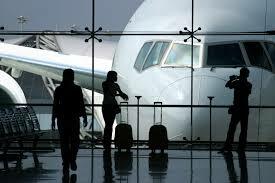 Spain´s Airports long distances bus transfer services. Spanish airports with connections and bus transfers: Book your bus tickets online and go direct to coach without going through the tickets office. The Madrid-Barajas Airport is situated twelve kilometers from downtown Madrid. Need not move to the capital because we offer direct connections by bus from terminal T4 to cities such as Zaragoza, Barcelona, Valladolid, Leon, Murcia, Alicante, Gijon, Oviedo, Lugo, Coruña, Santiago de Compostela, Burgos, Vitoria, San Sebastian, Santander, Bilbao, Logroño, Pamplona, and so on. Barcelona Airport is located southwest of the city, between the municipalities of El Prat de Llobregat, Sant Boi Viladecans and 18 kilometers from the city center. We provide you with buses linking the airport with Castellon, Valencia, Alicante, Murcia and Almeria. Valencia Airport is located eight miles west of the capital in tonws of Manises and Quart de Poblet. You have at your disposal several daily services connecting by bus the Manises Airport to Denia, Javea, Benidorm and Alicante. Wide frequency for passengers traveling by bus from the airport to Murcia, Villajoyosa, Benidorm, Altea and Calpe. 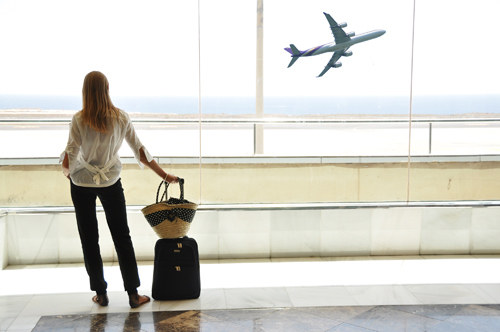 With our services, the airport Villanubla of Valladolid is conveniently connected by bus to Leon, Asturias, ávila, Madrid and Valladolid several populations of both provinces as neighbors. Asturias airport is connected by bus with major towns of the principality: Gijón, Oviedo and Aviles. At the airport Parayas of Santander, we offers shuttle bus services to the Santander Bus Station, in addition to intercity bus transport connections to Zaragoza, Galicia, Bilbao, San Sebastian and Asturias. Airport Federico García Lorca Granada-Jaén is located 17 kilometers from Granada and Jaen 106 kilometers. We have several daily bus services between the airport and bus station in Jaén city. Bilbao Airport is 12 miles from Bilbao cirty and it´s connected by bus with principal cities.